Our Season 2 finale is here, thank YOU for sticking with us for 42 EPISODES!! We reflect upon one year and two seasons of Perfectly Imperfect. It's been an incredible journey of producing consistent content, strengthening our friendship, and connecting with each and every one of you. Through the vunerability, raw and real talks, thank you for letting us ... be us. NEW episodes every TUESDAY! Remember to rate, review, and subscribe on iTunes and don't forget to tell a friend about the show :) See you guys next week! There are a lot of things in life that don't make sense - jobs that we wanted but never got, relationships that we thought would be our forevers but didn't last, opportunities that we were so sure were right for us but ended up being another disappointment to add to our list. We go through life, dot by dot, attempting to achieve success and happiness - but during the process, we slowly begin to realize that we've become someone we don't know, to try and impress people who don't matter. This week, the ever-inspiring-superwoman Jenn Im, shares her story as she connects the dots in her life that has led her on this wildly amazing journey. We each reflect upon significant moments from our past and uncover insecurities we didn't know we were struggling with. As well as find acceptance and release in what we had to overcome in order to be who we are today. We laugh, we cry, and of course we yaaaasss!! A child’s relationship with his/her mom can be complicated. We have this ideal image of a mother is one who should ALWAYS provide nurture, care, and unconditional love, but sometimes, this just isn't our reality. As first generation Asian Americans, our relationships with our moms face extra obstacles such as language and cultural barriers, which can make being open and honest with each other extremely difficult. This week, our good friend, Chris Dinh joins us as we dive deeper and explore what our moms' stories are: who they were growing up, what their hopes and dreams were, what they sacrificed and overcame. Knowing their story is key in getting to know yours and untangling years of misunderstandings, regret, and resentment. No one likes to talk about being cheated on or cheating on someone. When the foundation of any relationship is trust and that trust is broken through cheating, lies, broken promises, and crossed boundaries (again and again and again), what the EFF do we do? We want to dive into the heartbreak as well as the consequences to being cheated on, lied to, and how we can learn to build ourselves back up + set better boundaries. This week, our sista love who keeps things real, Joanna Sotomura joins us in this super difficult and complicated topic. We share our stories of being cheated on as well as being the cheater in past relationships... and of course, our lessons through some of the hardest times of our lives. We’re too often told to stay positive! Think happy thoughts! Don’t dwell in the negative! And while this can be great advice to help deal with life's woes, how do we approach it authentically so that resentment and anger don't take over? In many aspects of our lives, we suppress a lot of feelings and emotions in order to move on and "be positive". Sometimes it’s for survival, other times it becomes a way of life. But it doesn't mean those "bad" emotions are really gone! This week, our fairy soul sister Mimi Chao joins us as we explore the many ways we have dealt with the suppression of negatives memories from past experiences and how the consequences have affected our lives. We also dive into how we are currently processing all the horrific news happening daily in today's political climate from Harvey Weinstein, Trump, to the devastating Sutherland Springs shooting. How do we find happiness when there is negativity everywhere?! Working in corporate gets a bad rep, while pursuing the creative path can be glorified. This week, we invite our incredibly sweet friend Liah Yoo to talk about the difference between these two worlds because she's done both! She studied architecture and design, but then got a corporate job to work for Korea's biggest skincare brand (Amore Pacific), and now she's a full time YouTuber??? Liah's story is the perfect example of how life can throw some pretty surprising curveballs, but every experience leads you one step closer to where you're supposed to be so long as you understand your purpose. We share the realities of working the 9-5 corporate job vs. the create-your-own-schedule freelancer. And answer questions like: what were the signs that told us which world was better suited for us & when is it time to make a change to take that risk? Being single is always met with sad and pitiful glances. Your friends constantly want to introduce you to someone, you're always the 3rd or 5th wheel, your family keeps asking when you're going to get married, and you're known as the future crazy cat person. #foreveralone! But, hey we've been there. The world makes you feel incomplete and devalued as a person when you're "single," but we can honestly say that being single can be one of the best decisions of your life! And by decision, we mean when you CHOOSE to be single. Christine opens up about her 6 years of being single after jumping from one relationship to the next. That one decision to find THE answer has led to a life changing journey of self love + true freedom. Navigating in an extroverted world as an introvert can be exhausting. Others perceive introverts as shy, antisocial, weird, or even socially awkward is typically untrue. So what is it really like living inside the mind of an introvert? What are they really thinking... about themselves, others, and the world around them? After listening to this episode, you may realize that you got a bit of introvert all along! This week, we invited our big brother and favorite introvert Ted Fu to speak about this highly anticipated topic! Ted is known to be extremely private but we got the rare privilege to dig into his feels and talk about his experience + insecurities of being an introvert thrust into the spotlight. He shares how that has completely changed his life and perspective on himself. The more we explored our own stories, the more we began to understand that whether you're an introvert or extrovert, we have a lot more in common than we realize. As first generation Asian Americans, we understand the sacrifices our parents have made in order for us to have the opportunities we are blessed with today. We grow up in a society that they are unfamiliar with but we must abide by traditions we are unfamiliar with. This contrasting reality leads to many unanswered questions and leave us feeling the need to sacrifice our passions to fulfill our parents' wishes. But IS it selfish to pursue a path we know feels right? Do our families truly know what's best for our future? This week, our shining light of wisdom Jennet Liaw shares her beautiful insight on how we can and should responsibly chase our dreams. We give practical tips and advice on how we got our foot in the door and why fueling your fire is the MOST responsible and USEFUL thing you can do for the world. Have you ever felt like no matter what you did, you just didn't quite fit in... or belong? Is it you? It is your fear of rejection or past pains? Or is it everyone else? This week our community soul brother aka Dan Matthews comes by to explore why he still feels out of place even though he has countless friends. Dan shares how he's still navigating through life trying to find and embrace his true identity. Korean adoptee aka rapper aka community leader aka host aka friend aka.. Dan. Our comedic soul sister Amy Okuda joins us this week to talk about confidence. The three of us may come off as confident women on the outside, but do we actually feel as confident as we look? Most people encourage the idea of faking it till you make it but how do you do that when it makes you feel like a fraud? We answer all types of questions about confidence such as where does ours come from? When do we feel least confident? How do we overcome our own doubts and insecurities? 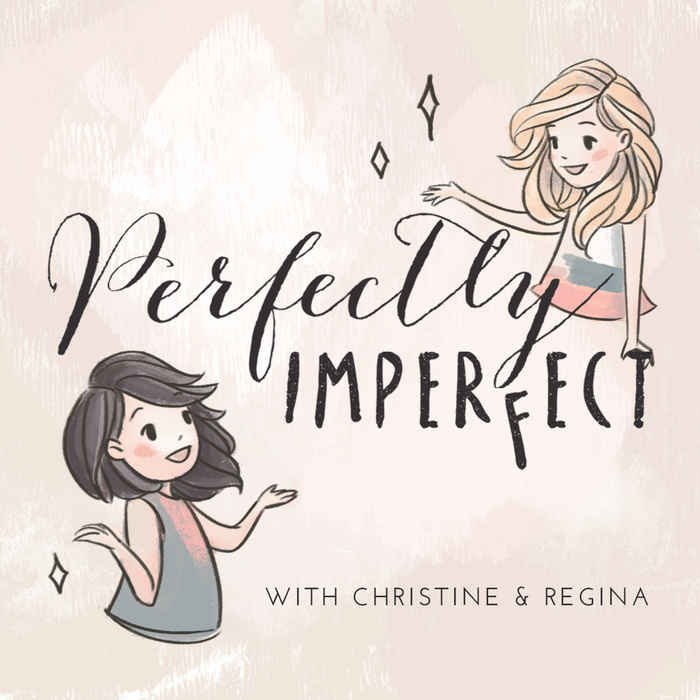 Find out this week on Perfectly Imperfect!